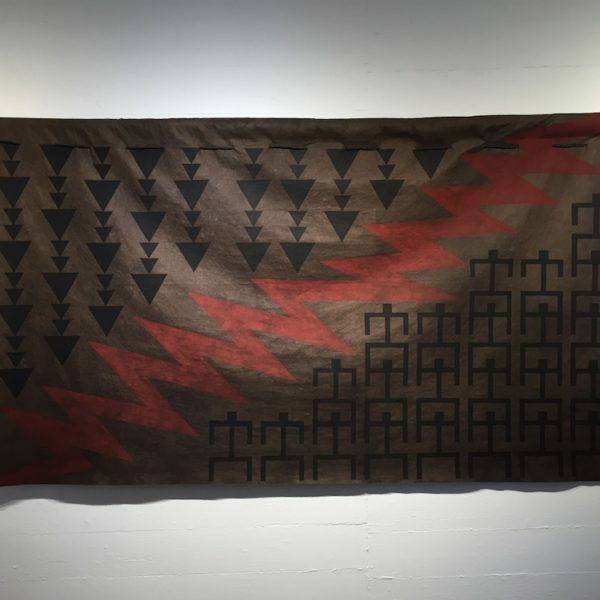 Battle of Kuamo’o, Tapestry By Natalie Mahina Jensen. Acrylic, heavy grade pelon, silk cordage and ‘ohi’a pole. 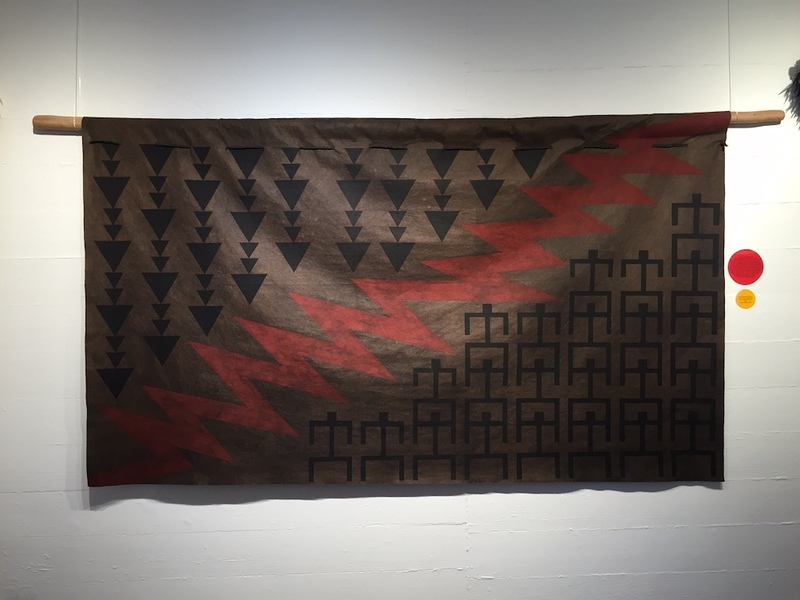 Dimensions: 4′ x 8′ tapestry.